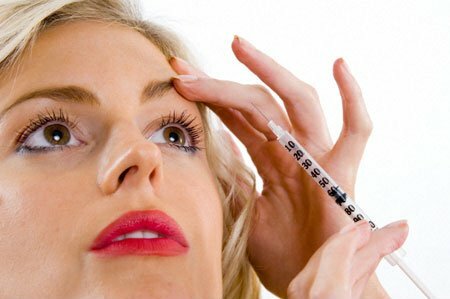 ï»¿ï»¿ COSMETIC BOTOX TREATMENTS are one of the most popular,low risk cosmetic procedures done in the United States, Europe and around the world. The goal is to "relax" facial expression muscles which over time leave residual dynamic wrinkles. Frown lines, forehead horizontal lines and Crows feet lines fall into these categories. These three mentioned are the most popular, but there are many other potential sites that your doctor may decide to treat. Frown Lines, Forehead lines and Crows Feet. Frown lines are caused by the contraction of a group of the three muscles, The middle Procerus muscles and two "helper" muscles on each side... the Corrugators... above each eyebrow. Forehead lines are caused by the large Frontalis muscles and the Crows feet are casued by the circular muscle around the eye, the O rbicularis Oculi. There are advanced locations where Cosmetic Botox has been used such as: for gummy smiles, vertical lines around the mouth, Bulging of the lower eyelid upon smiling "Jelly Rolls", softening enlarged side-jaw (masseter muscle)chewing muscle, relaxing and softening the muscles that pull down on the corners of Down-turned Mouth "Mad Mouth". There are non-Cosmetic "Therapeutic" Botox treatments used by neurologists for migraines and other spastic muscle syndromes. PRIOR TO INJECTION. If it is your first botox treatments, relax, itsok to be nervous. It is a fairly simple, quick and fairly painless procedure. A little discomfort, but most patients usually say its less painful than having blood drawn. 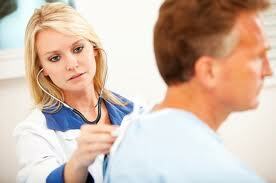 Tell your doctor about any illness or any medications you may be taking. These may affect treatment with Botox. To avoid bruising, do not take aspirin, Ibuprofen-like anti-inflammatories, Vitamin E, Fish oil and Anti-oxidants for a week prior to Botox treatment. If you are on prescription Blood Thinners DO NOT STOP TAKING THEM. Tell your Doctor if you have had problems with Botox in the past or problems such as prior inflammation, skin disease/condition or surgery and scarring in the area to be treated. Not to rub or massage the treated areas for 24 to 48 hours after treatment. This includes no scrubbing or rubbing when face washing, or rubbing when taking makeup off. onlly cleanse gently and "Dab" rather than scrub when washing face. To avoid bending down or laying down to rest for at least four hours after the botox treatment. Also, no strenous exercise, such as aerobics, spin class, running, jogging or other gym classes. No hot saunas are recommended. WHEN TO RE-TREAT THE BOTOX AREA. Initially if after two weeks have passed and you have not noticed adequate relaxation and stillness of the treated muscle areas, you should call the doctor for follow-up appointment and possible "touch-up" treatment. Not everyone will respond to the same amount of Botox in the same manner and some may need more than others. If you want to continue to get Botox regularly to establish a preventative schedule, than initially you want to wait for "return of muscle movement". As soon as you begin to see early signs of the treated muscles movement returning, you want to go ahead and schedule your appointment for Botox retreatment. At first, this may be at the 2 and1/2 to 4 month range. Later it may be in the 4 to 8 month range! WHEN TO CALL THE DOCTOR/SIDE EFFECTS. 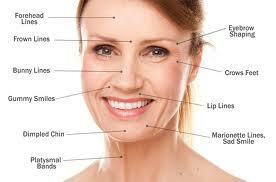 There has never been serious injury or mortality from Cosmetic Botox treatments. Most side effects are limited to discomfort and swelling at the injection site...redness, bruising, swelling or stinging. Rarely , side effects can include drooping of the eye lid, muscle weakness or facial pain. Most patients experience little or no side effects other than the mosquito or ant bite appearance for a few hours.